GDAX and Coinbase are two faces of the same company. In 2016, Coinbase split into two different interfaces. The company rebranded its core exchange as GDAX. 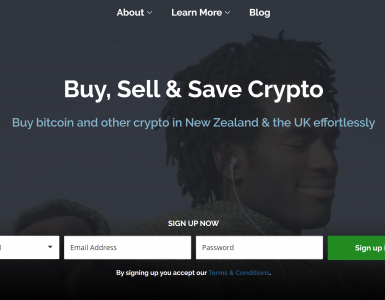 Then, it debuted a more user-friendly interface, known as Coinbase. The advanced features that GDAX offers include discounts for high volume traders, detailed real-time market charts and customizable order types. Margin trading, however, is not on the menu. Another factor to be aware of before you join is that the types of trades you can place vary depending on where you’re located. US-based and UK-based GDAX users have the most buying and selling options. Supports ACH and SEPA bank transfers. One of only three BitLicense certified digital exchanges. Discounts for high volume traders. Available currency pairs are limited in some operating regions. Only supports a handful of altcoins. 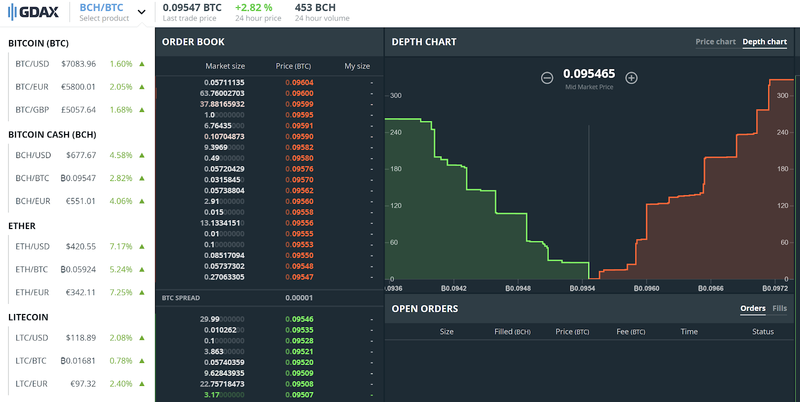 What Can You Trade on GDAX? In episode 35 of the Foundation podcast, Coinbase co-founder Brian Armstrong described how he got inspired to start a digital currency exchange after reading the Nakamoto white paper in 2010. “I remember distinctly having the feeling that this was the most important thing I’ve read in the last five years,” Armstrong said. Unlike most early digital currency exchanges, Coinbase opted to pursue rather than avoid government regulation. The “regulation first” strategy helped the exchange reel in venture capital funds from IPV Capital, Union Square Ventures and Andreessen Horowitz. In mid-2016, Coinbase decided to split in into two different exchanges. The retail exchange with user-friendly features would be called Coinbase. The original exchange was rebranded as GDAX. Because Coinbase and GDAX are two branches of the same company, there is overlap in their leadership structure. Brian Armstrong – Co-founder / CEO. Armstrong started off as a developer at IBM. Then, he founded the tutor service UniversityTutor and worked at AirBnB. Adam White – Vice President & General Manager. Before coming to GDAX, White was a Flight Test Engineer for the US Air Force. He was a Business Development & Product Manager at Coinbase for three years before he became the Vice President and General Manager of GDAX. Michael Lempres – Chief Risk Officer. After finishing his law career as a U.S. attorney for the US Department of Justice, Lempres was awarded the Edmund J. Randolph Memorial Award. Before GDAX, Lempres was the mayor of Atherton, California. In 2015, Coinbase/GDAX raised $75 million in Series C funding. DFJ Growth led the round, and was joined by The New York Stock Exchange, USAA, BVA, NTT Docomo, Valor Capital Group, Vikram Pandit, Tom Glocer and Carlos Rodriguez Pastor. In 2017, Coinbase/GDAX made headlines again for racking up another $100 million in series D funding. That round was led by IVP, the same firm that had previously invested in Dropbox, Netflix, Twitter, Slack and Snap. Other prominent investors included Spark Capital, Greylock Partners, Battery Ventures, Section 32 and Draper Associates. Coinbase and GDAX are both registered with the US Treasury’s FinCEN (Financial Crimes Enforcement Network), which gives it the ability to operate in most US states. The exchange has posted a list of all of its US state licenses to its website. In addition, GDAX complies with the United States Bank Secrecy Act and the USA Patriot Act. GDAX became one of the first digital exchanges to earn a BitLicense certification in January of 2017. In December of 2017, GDAX took out an insurance policy. The policy covers fiat currency losses resulting from employee theft and physical/cybersecurity breaches. GDAX only supports Bitcoin and a handful of altcoins. No information about the process behind the exchange’s coin acceptance process is available on its website. Like most modern digital currency exchanges, GDAX holds most (98%) of its funds offline in cold wallets. In addition, all fiat money in the GDAX system is insured by the Securities Investor Protection Corporation. GDAX is one of the few exchanges that has never had its coffers hacked. Though there isn’t much information about GDAX’s security system on the GDAX site, GDAX most likely uses the same security systems as Coinbase. Since its inception, the U.S. Patent and Trademark Office (USPTO) has awarded Coinbase four security patents. According to the Coinbase website, Coinbase stores 98% of its funds offline in “safe deposit boxes and vaults around the world.” In addition, Coinbase uses SQL injection filters, site action limits and attribute whitelists to guard against hackers. Also, all Coinbase employees must pass a criminal background check. Along with Coinbase, GDAX teamed up with Hackerone to debut a bug bounty program. The bug bounty program allows white hat hackers to earn up to $50,000 for identifying security weaknesses. 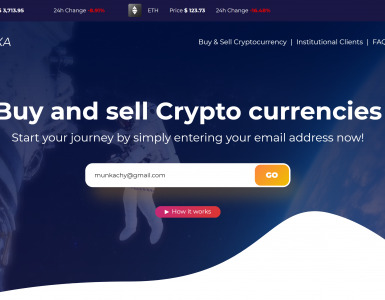 The exchange has paid over $250,000 in bounties as of March 2018. GDAX General Manager Adam White recently posted an blog article about how to safeguard GDAX accounts. He recommended using long, complex passwords and 2-factor authentication (2FA systems that work with GDAX include Google Authentication, Duo and 1Password). In addition, he advised GDAX users to be on the lookout for phishing hacks and social engineering hacks that take advantage of mistakes that phone companies often make. A different blog post from October of 2017 announced the debut of a new security feature for advanced GDAX users called IP whitelisting. IP whitelisting prevents hackers from using stolen API credentials. Though GDAX is designed for advanced traders, its knowledge base is jargon-free and easy to read. The KBAs (Knowledge Base Articles) do an excellent job of explaining the different order types. In addition, GDAX is one of the few digital currency exchanges that offer both email and telephone support. GDAX maintains an active presence on Reddit, Twitter, Facebook, Keybase and other social media platforms. Like Coinbase, GDAX has a good reputation overall. Coinbase is easier to use compared to GDAX, but it has higher fees and not as many advanced features. In addition, GDAX is one of a handful of exchanges that has obtained a BitLicense certification from New York’s Department of Financial Services. In January, some criticized GDAX for being slow to adopt SegWit— a solution to Bitcoin’s scaling problem that lowers the cost and speed of Bitcoin transactions. GDAX listed to its customers and introduced SegWit in February. In March, GDAX was hit with a class action lawsuit. The plaintiffs involved in the lawsuit alleged that company executives tipped off insiders in advance of the introduction of Bitcoin Cash earlier this year. The class action lawsuit isn’t the first time that GDAX has been hit with insider trading accusations. In 2017, a suspicious multimillion dollar sell order drove Ether prices from $317.81 all the way down to $244.48. GDAX is available in most US states (except Wyoming, Hawaii, and Minnesota), Canada, the UK, Australia, Singapore and 27 European countries. Currency pairs vary depending on the region. For example, Canadian GDAX users can only buy Ethereum or Litecoin with Bitcoin. Click here to see the full breakdown of currency pair availability in all GDAX regions. In the US, GDAX customers must provide a driver’s license or state ID as well as a SSN (Social Security Number) and proof of residential address. GDAX does not accept a passport as a form of identification for US customers because passports do not indicate the state of residence. In the UK, any government issued ID will suffice, including a passport. In addition, UK customers must answer a series of verification questions that are based on national identification database information. In all other countries, two types of identity documents are required. Passports, Driver’s licenses, and national ID cards are acceptable. 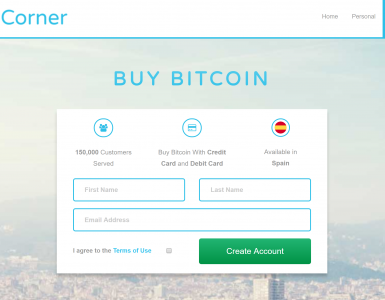 Supported cryptocurrencies include: Bitcoin, Bitcoin Cash, Ether and Litecoin. Three fiat currencies are available: US dollars, British pounds and Euros. There are three different order types available on GDAX: market, limit and stop. Options for limit orders include Good Til Canceled, Good Till Time, Immediate or Cancel and Fire or Kill. You can also set the limit price and stop price for each stop order. In addition, GDAX offers API access for automated trading. Extensive documentation for setting up the API can be found at docs.gdax.com. After you log into GDAX, you will see your trade view screen, which contains a price chart, trade history and an order form. You can change the order form by using the dropdown menu on the top left side of the screen. Twelve different currency pairs are available. The withdraw funds dialog box changes depending on the currency pair you select. For example, if you select the BTC/EUR trade pair, you’ll see three options: SEPA, Coinbase Account and BTC Address. Your daily withdrawal limit is displayed on the right. The “my fees” screen shows you what you’ll pay for each transaction that you make. The higher your 30-day volume is, the less you’ll have to pay in fees. GDAX does not have an official app. There are three options for withdrawing and depositing fiat funds on GDAX: ACH (US bank transfer), SEPA (European bank transfer) and USD wire deposit. ACH deposits and withdrawals are free. SEPA withdrawals and deposits cost €0.15 EUR. USD wire deposits cost $10 USD and withdrawals are $25 USD. GDAX doesn’t charge fees for digital currency withdrawals and deposits. Transaction fees range from zero to 0.3%, depending on what kind of transaction you want to place and how often you trade on GDAX. If you want to buy or sell at the market price and have the transaction go through immediately, you’re considered a market taker. Traders who place orders that are either above or below the going market price are considered market makers. Like Coinbase, GDAX is an all-around solid exchange with good security, smart leadership, and a smooth interface. If this exchange supported more altcoins and margin trading, it would undoubtedly be one of the best exchanges for advanced traders. If you are a beginner trader and you want to try out advanced trading tools, GDAX is a good place to start. Transfers between Coinbase wallets and GDAX accounts are instant and free. Unlike most exchanges that cater to institutions and professional traders, GDAX has an excellent knowledge base that contains clearly-written articles about not only various digital currencies, but also helpful guides that explain basic trading terms. With GDAX, high volume traders get tight security, lower fees and more precise ordering functionality. However, GDAX is extremely limited in some parts of the world. In addition, margin trading is not on the table, and GDAX only supports a limited number of cryptocurrencies.